There are some brands of Champagnes that are very familiar to consumers and connoisseurs alike; Laurent-Perrier is certainly one of those. Situated in the town of Tours-sur-Marne, a bit west of Epernay, the house recently celebrated its 200th anniversary in 2012. Like most Champagne houses, Laurent-Perrier produces a range of wines, from its non-vintage (or multi-vintage, if you will) Brut to a vintage (or millésimé) Brut to a luxury cuvée. Last week I tasted almost the entire range at a special event in Chicago; the tasting was conducted by Michelle DeFeo of Laurent Perrier USA. I won't write about every wine, preferring instead to focus on three wines, starting with the non-vintage Ultra Brut. This wine differs from the firm's regular non-vintage Brut in that the Ultra Brut has no dosage, making it extremely dry. Only a few medium-to large-sized houses make a wine such as this, as an Extra Brut is often too dry or slightly bitter for most consumers. However, this is a splendid wine, beautifully balanced and very appealing, produced from 55% Chardonnay and 45% Pinot Noir. Displaying aromas of lemon rind, kiwi and chamomile, this has lively acidity, as you might imagine; here is an excellent wine to be enjoyed over the next 2-3 years, especially with oysters, mussels or about any kind of shellfish. 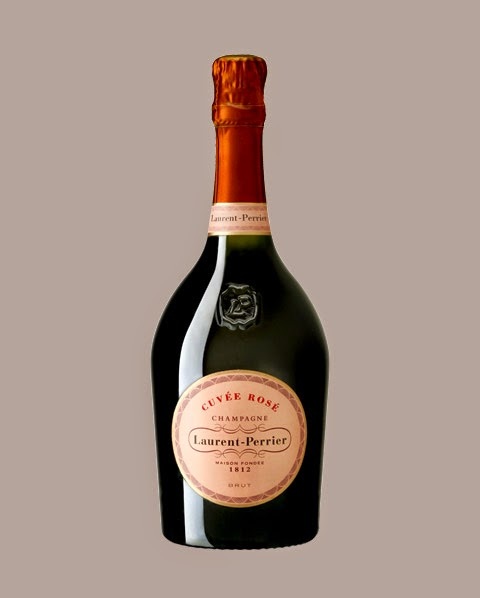 The Cuvée Rosé needs no introduction to those who are familiar with Laurent Perrier or who are fans of rosé Champagne in general. I've tasted this on several occasions, most memorably in a special dinner in the kitchen at Charlie Trotter's restaurant in Chicago about ten years ago, when the wine was paired with eighteen different courses! Last week's tasting was not as remarkable as that one - how could it be? - but the wine again tasted out beautifully. This is a very distinctive rosé, not only for the fact that it is 100% Pinot Noir (there are some rosé Champagnes that, if you can believe it, are sometimes 80% to 90% Chardonnay), but also that is it made in the saignée method. This means that the color of the wine comes from the skins of the Pinot Noir grapes and is "bleeded" off during fermentation (or after a short maceration); this differs from other rosés where still red wine (Pinot Noir) is added to the cuvée. Most Champagnes are made in this latter method; the saignée process is carried out in much smaller numbers throughout the Champagne region. The wine, with its beautiful light copper color, is simply delicious, offering aromas of pear and dried strawberry, very good richness on the palate and very good acidity. As Pinot Noir lends more weight to a Champagne, this is an ideal match for game and many red meats - I love it with duck breast or suckling pig. Enjoy this over the next 2-3 years; the flavors of this wine combined with its uniquely-shaped bottle make this a great gift! Finally, I had the rare opportunity to taste the Les Réserves Grand Siecle, the luxury cuvée from Laurent-Perrier. This cuvée, first produced in 1955, is rarely made and when it is, it is produced in incredibly small lots; this is released in magnum and only 1000 bottles were crafted. This particular release - Cuvée 571j - is a blend of 50% Chardonnay and 50% Pinot Noir from three outstanding vintages: 1990, 1993 and 1995. Yes, here was a Champagne in which the youngest wine was almost twenty years old! Additionally, the grapes for this cuvée were sourced exclusively from Grand Cru villages; eleven in total, including Chardonnay from Avize, Cramant and Le-Mesnil-sur-Oger (all in the Cote des Blancs), with the Pinot Noir from six villages, including Tours-sur-Marne, Ambonnay, Bouzy and Verzenay. Thus we have a best-of the best situation with this cuvée - grapes from the finest villages from three memorable vintages. The wine does not disappoint, in fact, it is, as the saying goes, greater than the sum total of the parts. Full-bodied, with explosive aromas of chalk, yeast, dried pear and honey, this has layers of flavor that coat the palate. The persistence is excellent and there is very good acidity, along with notable complexity. 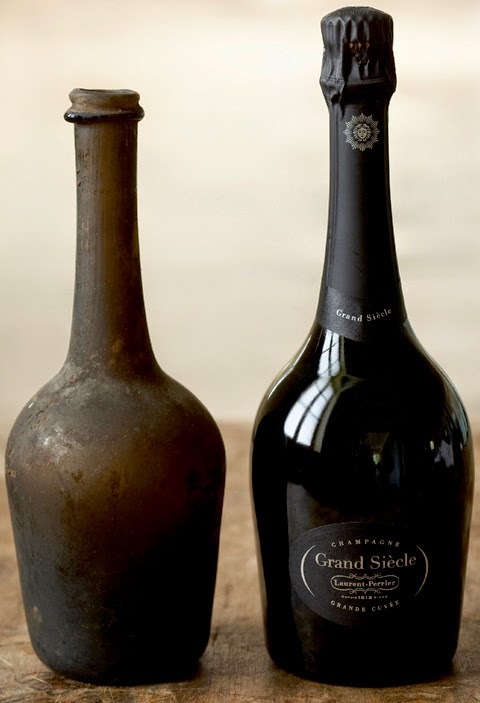 While a big Champagne by nature, it is never forceful; rather it is a Champagne of great elegance as well as breeding. 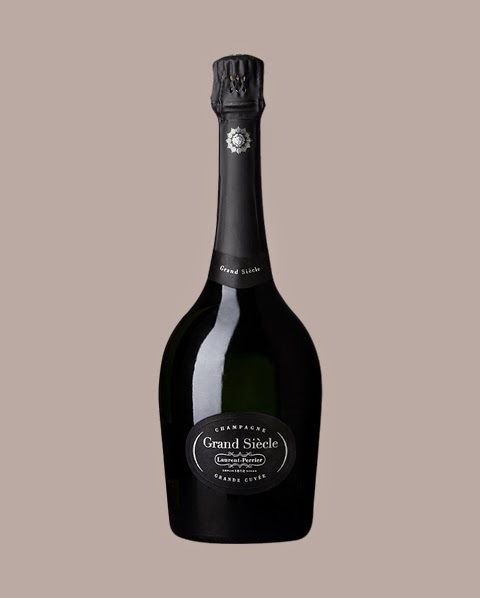 Think of the greatest Champagnes you've ever tasted - your list will not be complete until you have tasted the Les Réserves Grand Siecle from Laurent Perrier. I rate wines by the star-system with 5 stars being my highest rating; this is a true 5-star wine and clearly one of the most memorable I've ever tasted. I don't think I'll ever have the opportunity to taste it again, as there are only a handful of bottles remaining (less than ten magnums, I believe), but in case I do, I want to taste it in another 7-10 years when it is at peak. I only hope I can enjoy it with something or someone as special! Reference books on wine (or any subject) can be a great source of information. They can also be a bit boring at times, as the author can sometimes include vast information without much organization. Bigger does not make better in such instances. That's why it's such a pleasure to read Wines of South America: The Essential Guide by Evan Goldstein. The author, a Master Sommelier, has taken this subject and injected it with his own opinions and has at the same time, truly given us a guide that covers the wines of South America as well as anything written to date. Granted, there have not been a lot of books on the subject, as the topic of South American wines has not been treated with as much reverence, if you will, as wines from many other parts of the world, be it France, Italy or California. Too often the thought process on South American wines is that they are ripe, easy-drinking and inexpensive. That's part of the equation, but there are many excellent producers in Chile, Argentina, Uruguay and a few other countries in South America that have made the effort to tell the world about the potential of the viticultural qualities of their lands. The author begins with a brief overview, recounting history and a few influential names that have taken the quality leap in South America. He follows with an excellent chapter on grape varieties, filled with plenty of statistics, such as acreage as well as specific territories where each variety is planted. Goldstein has done his homework here, writing about well-known cultivars such as Malbec and Carmenére, but also relatively obscure varieties such as Cereza, Criolla Grande and Uvina. The book is then organized by specific chapters about the major wine-producing countries. History and geography are discussed both in a broad sense as well as in specific regions, such as Mendoza and Patagonia in Argentina, and San Antonio and Maule Valleys in Chile. For each region or subzone, individual producers are listed. One would expect all of this in an "essential guide," so Goldstein clearly delivers the goods. But the most enjoyable - and pleasantly surprising - part of this book comes at the end with a number of lists the author has assembled. The subjects are varied here, ranging from "Super Sauvignon Blanc" and "Magical Malbec" to "Best Bottles for Beef" and my favorite, "Twenty Wines to Drink Before You Die." Among the wines listed in this last category are Almaviva from Chile, Catena Zapata "Adrianna Vineyard" Malbec from Argentina and "Pisano "ArretXea" from Uruguay. I've had the first two and agree with the author, so given the fact that I haven't tried the last wine here, I'm interested to taste it- that a sign of an engaging book! I do have two problems with the book, however. First is with the photos. Number one, there just aren't many and what are there are primarily landscape shots. They're nicely composed, but they're in black and white and relatively small, so the reader cannot grasp the beauty of these lands. Also, there aren't any photos of producers; I really would like to know who these people are and while the author does talk about these individuals, often in glowing terms, I'd like to get a look at these individuals - a human face tells so much. A photo of stainless steel vats that appears on the opening page of the chapter on several countries such as Bolivia, Colombia, Ecuador, et al is rather boring - a stainless steel vat looks the same everywhere. Why not a few photos of winemakers and winery owners? I understand the reason why the photos are in black and white - it's obvious that the cost of printing these images in color would drive up the production charges. But in this day when visuals are so important, it's very disappointing to have such a valuable reference books as this filled with black and white photos and at very small sizes at that. I'm a photographer myself, so maybe this is more of a fault I find; it may not bother some readers. But I wish the University of California Press, which published this book - and has published several other outstanding wines books recently - would change their thoughts on black and white photos. Just take a look at the beautiful Matt Wilson photo that appears on the cover - it's an invitation to this world. Given that, it's a real shame about the photos that appear inside the book. The other criticism I have of this book is on a more refined basis. While Goldstein has done an excellent job organizing this work and has given us as authoritative a look on the subject as anyone, I wish he could have done more, at least in one area, that being wine descriptions. For example, when writing about Casa Marin, situated in the San Antonio Valley of Chile - and truly one of South America's greatest wine estates - Goldstein delivers a nice summary of proprietor Maria Luz Marin and how she stayed with her vision of creating a great wine property, despite some complications. Later on in his list of the best examples of Sauvignon Blanc, the author lists the Casa Marin "Cipreses Vineyard" offering. He's unquestionably right about this wine; I've visited the estate and have tasted several vintages of this wine. It is a great Sauvignon Blanc, not only one of the best from South America, but also one of the most distinctive produced anywhere in the world (much of that has to do with the fact the vineyard's proximity - less than three miles - from the Pacific Ocean. At this location, this wine has vibrant acidity, excellent structure and a razor's edge quality that separates it from other examples; I won't even go into the amazing aromatics of this wine). But there is no description with this wine or the other recommended wines in the lists at the back of the book. Perhaps text such as this would have taken up too much space or maybe Goldstein simply did not want to include such writeups, believing that they would make the book just another study in tasting notes. I can understand that way of thinking if that's the case, and I do have to review the book in front of me and not the book I wish he wrote. Yet I did expect some marvelous descriptors for many of the wines; as a master Sommelier, Goldstein can certainly do this as well as anyone, but it was his choice not to do this, so I respect that. Those two points aside, this is an excellent look at the subject. 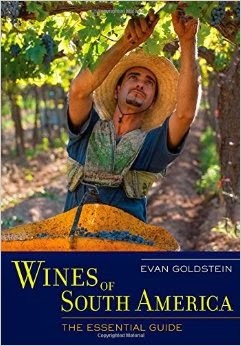 From travel tips to recommended restaurants to a wealth of information (very helpful to list websites as well as reasons why one should visit a winery - above and beyond the wines), Evan Goldstein has written what is so far, the definitive study of the wines of South America.